Long time since i did any updates on this blog, will start to use it more often again. Will start off with some pictures of one of the figures I have finished and also go through some of the current work on my table. At the end I will mention some upcoming work. 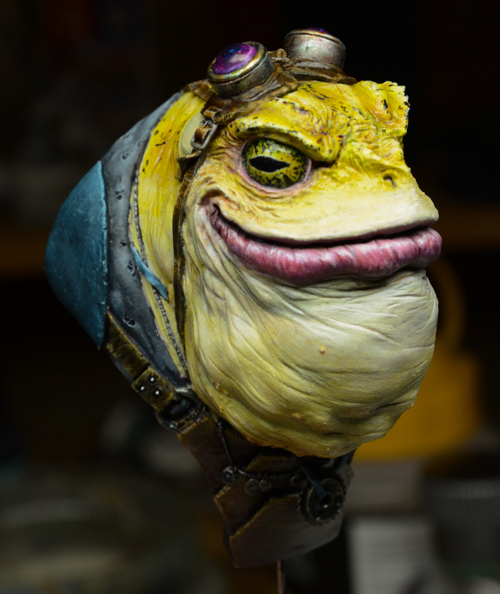 To start this of I have finished my frog bust from Figone that I brought to Monte San Savino, was such a great experience to go there and see all the fantastic entries. below is pictures of the frog. 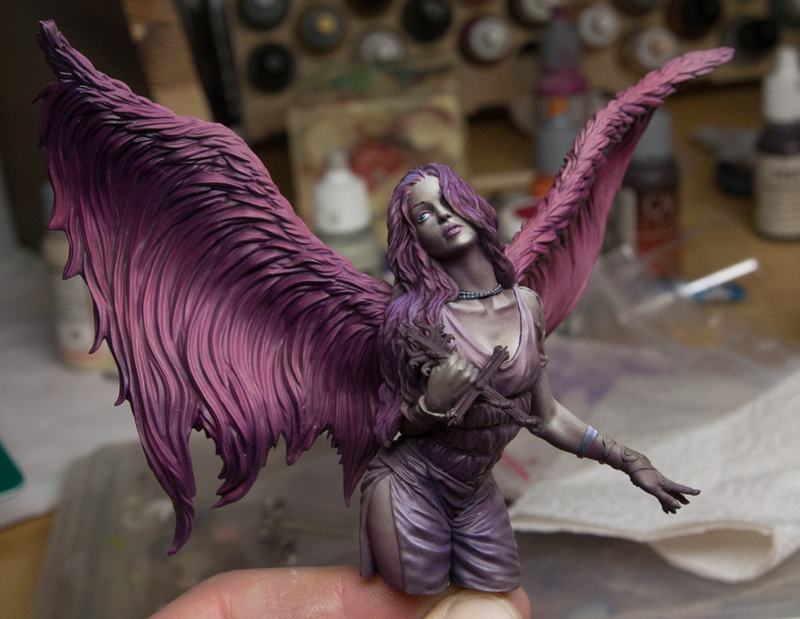 After Monte i have had the pleasure to attend a painting course with Jesus Martin in Stockholm arranged by Robert Karlsson, Jesus brought with him a bust of Lilith that will be released around February 2017, Truly a fantastic piece. During the painting session we where using paints from Nocturna model and there range of colours, I like them and got a very nice result. I also got more training on how to use an airbrush. I couldn’t finish the figure at the course so I am currently continuing at home. Below is a pic of current state, getting closer to finish it. 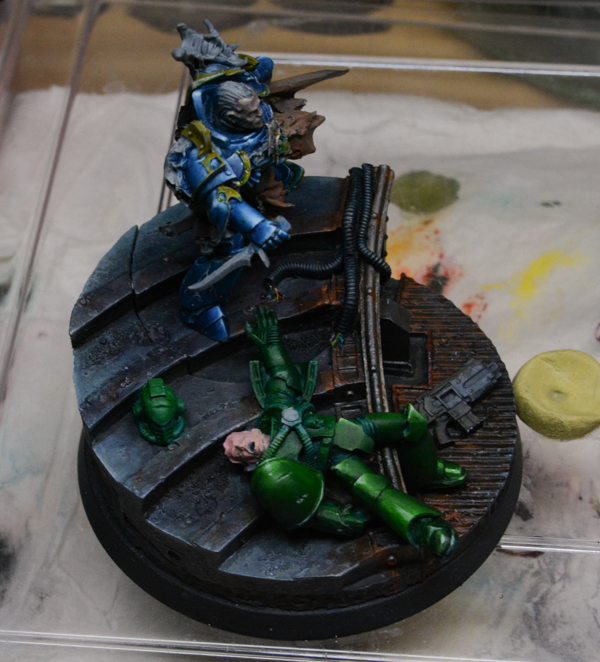 Other ongoing projects are some painting some forge world figures for a friend of mine, he likes the nightlords so I am currently having two of them to paint. I have started on Sevatar model and will do Konrad after this one. This is also WIP shots of this figure. Have some other things laying around 🙂 doing some tabletop figure for playing also planing some stuff for Stockholm open competition that I will attend. more about that in an upcoming post. I will do a step by step on the Arinthuil here. Challenges for this project will be that I am doing a bit bigger base then usual and it should be a base based on sand theme. It will also be for display quality or as close to it that I can achieve. Looking forward to post more things in a near future.